Ask any basketball coach in the world what they think is one of the most important factors to having a GREAT defensive team, and I would bet they will mention “Communication” somewhere in their explanation. While knowing your rotations, knowing personnel, and playing solid fundamental defense are truly key components; Communication is vital in order to become a great defensive Team. I have been fortunate to coach at all levels of basketball (except professionally) in my young career, and at every level it seems one of the hardest things to teach is the importance of communication on defense. Now I know this is partly due to the fact that young players don’t think it’s “cool” to communicate on defense. However, I also feel that this is due to the lack of habits being formed at young ages. Websters Dictionary defines habits: an acquired behavior pattern regularly followed until it has become almost involuntary. If coaches began preaching the importance of communication to grade school players and everyone began to do it, would it then become “cool” by the time they reached middle or high school and then college? 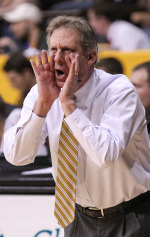 Constant communication is enforced at the highest levels of basketball. One of those enforcers is the new head coach at the University of Wyoming, Larry Shyatt. For those very few of you who do not know Coach Shyatt, he is an absolute Defensive Guru (He is the Tom Thibodeau of college basketball). During his time at the University of Florida, he introduced a three letter acronym that was preached almost on a daily basis: E.L.C. This stood for Early, Loud, & Continuous. EARLY: Always do your work Early. Whether it is communicating a pick & roll, off the ball screening, or flares, the earlier you can communicate to your teammates the better. If the player you are guarding is sprinting into a pick & roll, you need to be communicating as soon as possible to your teammate guarding the ball so they can adjust their stance and not get smashed by the screener and give up easy points. A great analogy to give your players; If you are driving down the interstate at 70 MPH, would you rather me tell you that the exit is coming up soon, or tell you to exit as soon as you drive by the off-ramp?? LOUD: This should not need that long of an explanation. Whether you are in a high school gym of about 300 people or a game in the NBA finals with 20,000 screaming fans, you have to be loud in your communication. It is not enough to just talk in your everyday voice, you need to YELL your communication so everyone on the floor can hear you. CONTINUOUS: So I communicated Early and Loud. However, my teammate still did not hear me. Your communication needs to be Continuous. Coach Shyatt instilled the Rule of 3, you had to repeat everything at least 3 times. Meaning, if you are guarding a pick & roll, it isn’t good enough to just yell “Blitz”; you had to yell “Blitz! Blitz! Blitz!” Another key teaching word you can add to this acronym is Effective. This is especially important for younger players. In order for communication to be Effective, you need to give your teammate as much information Early, Loud, & Continuous as possible. Meaning, it isn’t good enough to just yell “Screen! Screen! Screen!”. Your teammate needs to know from which direction it is coming and how we are guarding the screen (i.e.-Are we showing, blitzing, leveling, jamming, etc). One example is this; Carlos Boozer is sprinting into a pick & roll with Derrick Rose, as dangerous as Rose is, I would prefer to get the ball out of his hands as soon as possible. As Boozer is sprinting into it, his defender needs to be yelling “Screen right (or left), Blitz, Blitz Blitz!”. This should result in the big and the guard trapping Rose and forcing him to get rid of the ball. If you continue to have players who refuse to communicate, tell them to watch the Chicago Bulls on tv. 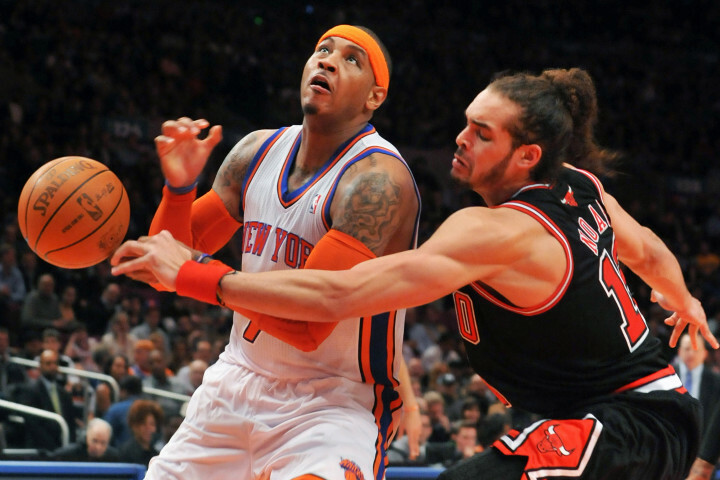 No one in the NBA communicates louder on defense than Joakim Noah. They don’t even have to turn the volume up that loud to hear Noah instructing everyone on the floor. It’s no coincidence, he got his degree in E.L.C. from Larry Shyatt.